Thanks for the clarification. I honestly thought the AFL website just did a consolidated list based on each clubs medical reports. Didn’t know that they actually did their own assessments! Didn’t realise myself until I read on the website yesterday. It’s standard AFL Media dross. This poor bloke is Gumbleton Mark V.
Joey has been very durable. 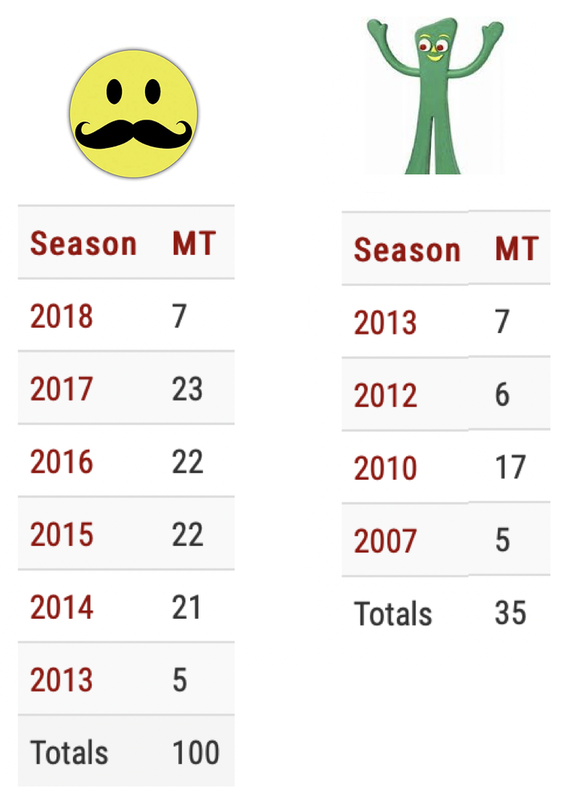 From 2014 onwards he has put together full seasons. Last year was his first major set back. Gumby was just a frustrating succession of major setbacks after major setbacks - missed two whole seasons in a row, then another after his only decent run. oh oh do it for Myers and Laverde with the funny faces! People have to stop reading those media injury reports as anything but fiction. No mention of Zerk, even though he’s actually injured. It’s the work experience kid filling column space. It says Callum Twomey reports our injuries. I always thought he was pretty good with Essendon stuff? He writes the little paragraph underneath the table, I don’t know whether he actually fills the table or not. Maybe he did ask. Given the rabble that is Essendon, it’s possible that no-one at Essendon knows what’s going on. There was no mention either way of Stewart. Are you saying the club has misplaced him? A fit Daniher would have kicked 10 last night. its called clickbait. he has been known to have a beer after a game too. 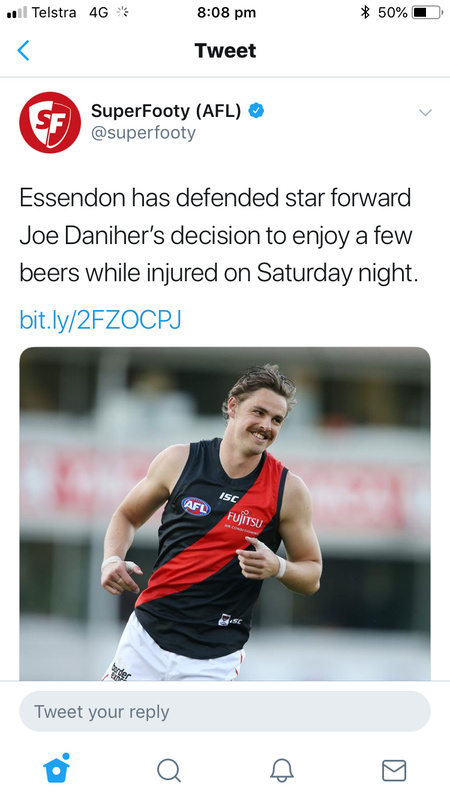 News at 11: Daniher is a Daniher. Finally! I didn’t think we were going to defend all year. But yes agreed he should have managed minutes in VFL first. Irrespective of whatever mini preseason they may be putting him through.